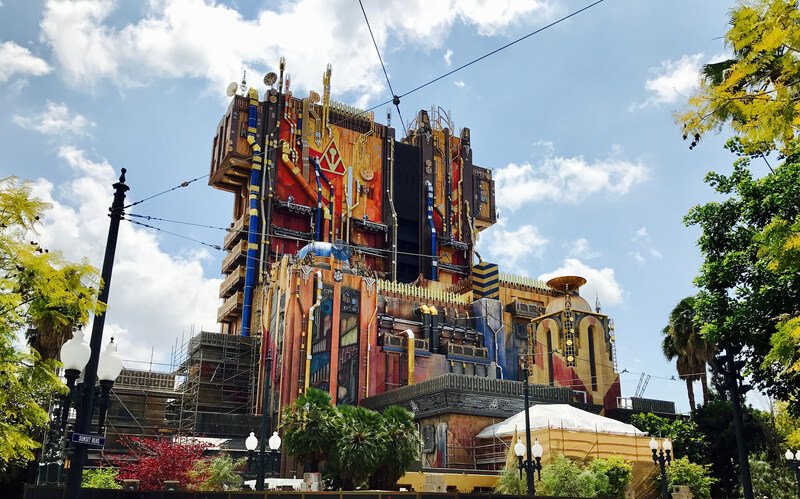 In less than a year, Tower of Terror closed down, reopened as Guardians of the Galaxy: Mission — Breakout and now, it’s changing again. This go around, though, it’s only for a short time, and this means you’re going to want to make your way over to Disneyland ASAP. Disneyland is getting ready to kick off the Halloween season at the park, and this time, the fun spreads across the esplanade over to California Adventure. And who better to get things started than Star Lord, Gamora, and Baby Groot? Mission — Breakout will get a new ride overlay, and magically transform into Guardians of the Galaxy: Monsters After Dark. It will be the same ride, just a completely new and exciting (AND SCARY) adventure. As the Disney Parks Blog writes, “The Guardians have successfully escaped The Collector’s Fortress, but they have accidentally left Groot behind! Rocket enlists you to distract the creatures that have been released so he can find and rescue his little buddy.” You don’t have to tell us twice to help — no Groot left behind. Now, here’s the fine print: This only happens after dark. You’ve got to wait for the sun to set to ride Monsters After Dark and #SaveGroot, and this updated attraction will only run September 15-October 31st. Disneyland and California Adventure are rolling out all sorts of new Halloween-themed things this year, and if you’re into pumpkins, amazing new foods, and Oogie Boogie this isn’t something you’re going to want to miss.